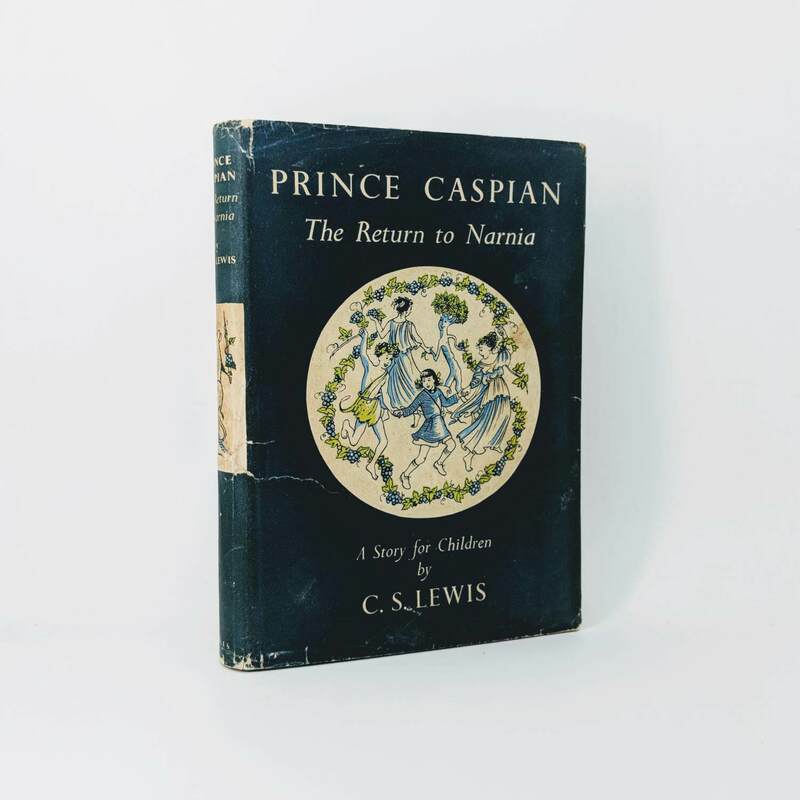 Prince Caspian: The Return to Narnia By C. S. Lewis First Edition, First Impression (Geoffrey Bles Ltd, 1951). Bumping to spine foot with minor bumping to top corners of rear and upper boards; a few marks to boards. A little very faint foxing to front endpaper and to final few pages, otherwise contents beautiful and clean throughout. 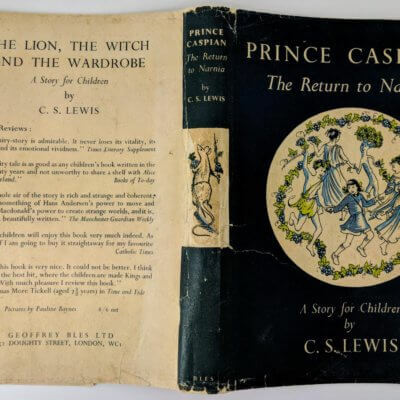 Dust jacket is not price-clipped with a couple of closed tears to top edge of front panel and one closed tear to bottom edge; a few very small chips and some abrasion to spine tips; spine panel still bright and unfaded; light soiling to rear panel with small closed tear to bottom edge; corners slightly chipped. A very good example of the second book in 'The Chronicles of Narnia' series. 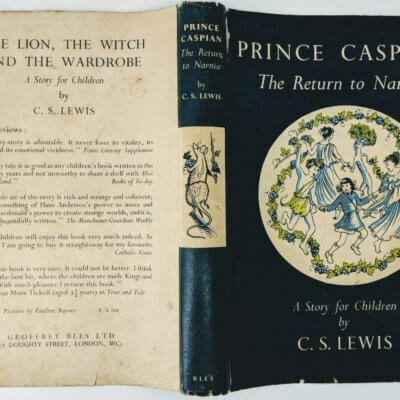 Prince Caspian: The Return to Narnia By C. S. Lewis First edition, first impression (Geoffrey Bles, 1951). The second book in 'The Chronicles of Narnia' series. Slightly cocked with light bumping to corners and spine tips; a few marks to upper and lower boards; foxing to final pages with a gift inscription to front endpaper verso dates '1951'; top section of spine faded. Dust jacket is price-clipped with some foxing/soiling to rear panel; spine panel a little frayed, particularly to extremities; corners rubbed and chipped. 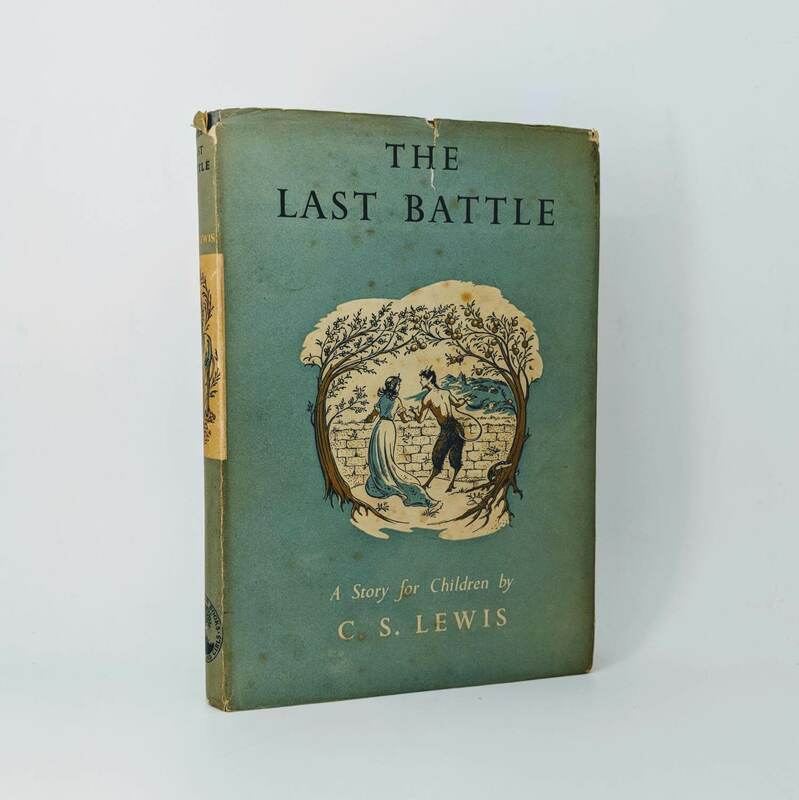 The Last Battle By C. S. Lewis First Edition, First Impression (The Bodley Head, 1956). A few marks to top edge of upper board; bumping to spine foot; very minor bumping to corners; light foxing to top edge and to front and rear endpapers. 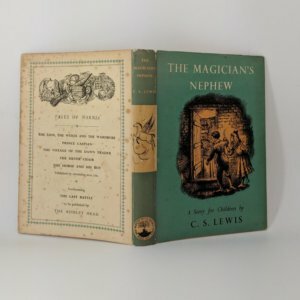 Original and unclipped dust jacket has a closed tear to head of front panel and to foot with a small chip; spine ends abraded and chipped with very minor loss to head; small closed tear to head of rear panel; foxing to front and rear panels and to verso. A very good example overall of the seventh and final book in 'The Chronicles of Narnia' series. 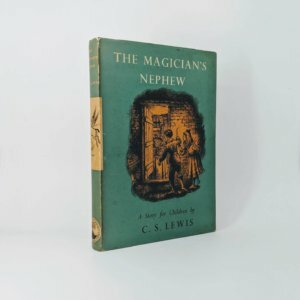 The Magician's Nephew By C. S. Lewis First edition, first impression (Bodley Head, 1955). A little light foxing to front endpaper, to final few pages and to head and foot of text block. Boards nice and clean and binding square and tight. 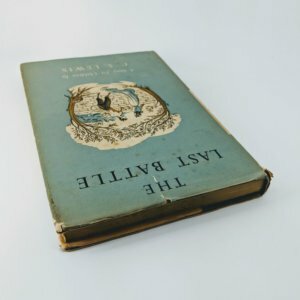 Original and unclipped dust jacket has some foxing to rear panel and verso with marginal foxing to front and rear flaps. Nice and crisp other than that, with a couple of very small chips to spine head, a little toning to spine panel and trivial rubbing here and there to hinges and extremities. 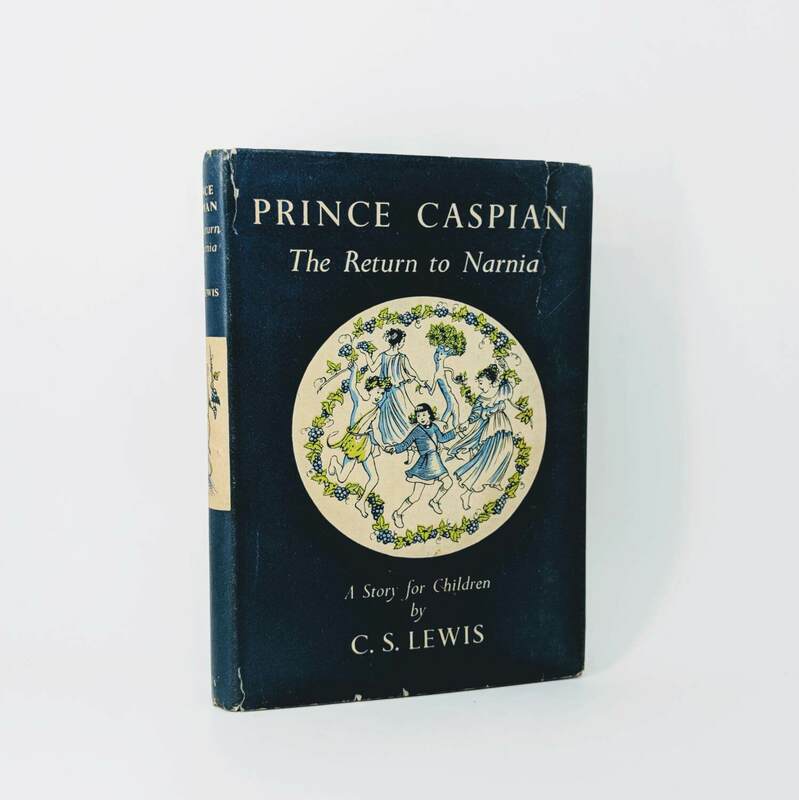 A very good copy overall of the sixth book in 'The Chronicles of Narnia' series.